Can I Sell On Amazon Europe As A Non-EU Resident? Are you wondering whether you can sell on Amazon EU without being a non-European Union resident? It is absolutely possible and way easier than you think. One way that Amazon advertises itself is becoming an Amazon global seller, which needs you to go through extra checking. If your goods at held at a non-EU location as well, they will have to go through customs, which again takes a lot of time. A good way around it is to register in Spain and create a Limited Society (S.L), something, which we will take a look at below. We will take a look at how selling on Amazon can be easy, and how all you need is access to the right tools. To sell on Amazon if you are not a non-EU resident can be tricky. You need to give Amazon information about an E.U. bank account and an address, which you probably wouldn’t have. Don’t worry – here is how you can go about it. The European Union has 28 countries, and you need only one virtual address. Many prefer Spain to set up their Amazon business, since it’s easy to set up business there, and you can manage your inventory easily. 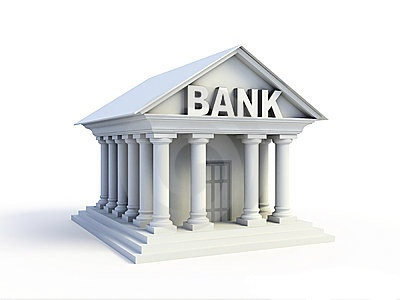 However, to start, you would need an address and a bank account for your business, which could seed tad bit difficult. To get around the problem, you need a virtual address. Now, there are different ways to go about it. If your company is registered in the European Union, you could give the company documents to verify. 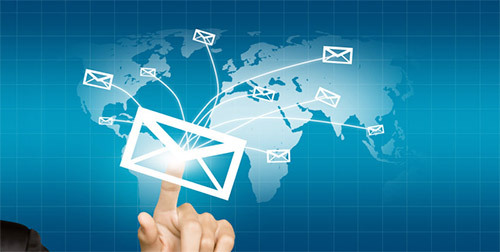 Now, there are different mail forwarding services like viabox, UKpostbox, Spainbox but you need one that is in Europe. We will be taking a look at one such service in E.U, SpainBox. 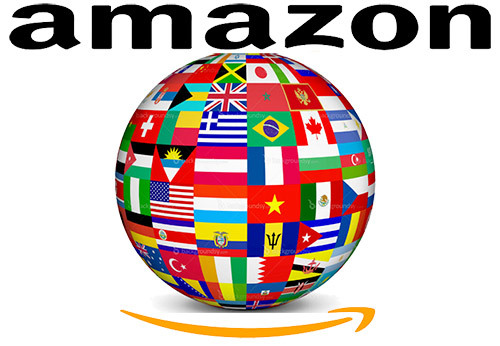 You can use it for a Spain virtual IP address that can help you kick start your career as an Amazon seller. SpainBox offers order fulfillment services, designed as per the needs of a growing enterprise. Unlike other companies that require long-term association, SpainBox has plans that start as little as 30 days, its appropiate for Kickstarter projects. The transparent system is completely organized requiring minimum or no supervision from your side. You need to look at getting a similar mail forwarding option for your virtual address. Wondering how I can sell on Amazon and get a virtual address? When you sign up for services like SpainBox, you are given a choice between two packages. Depending on your order volume, select on the package. When you make the payment, you receive a virtual address that allows you to work with Amazon EU and work according to you. Since you are working from outside the European Union, you will have to pay VAT on the goods you import into Spain. However, companies like SpainBox offers inventory storage as well, which is free for 30 days, you can send a certain quantity of products at once. We suggest you send your goods DDP (Delivery Duty Paid), so its not required we pay on your behalf the import taxes. Customers have access to a cloud warehouse management system (WMS) that gives you an insight into how many products are left, giving you enough time to ship more products to their inventory storage unit. We have our own WMS implementation, Shipeu that allow you login at your account and see order history, stock history, invoices, returns, etc. Spainbox can be your mail forwarding company who handles everything that you receive at your Spanish address from clicking photos or scanning the photos and sending them to you to inspecting them for damage. While Spain Box offers their own shipping services, you can also opt to choose your own courier. Other important features that you can go for with your mail forwarding company includes labelling products and boxes, providing packaging services, and express processing. Do remember that they can charge handling fee of three euros per package and pallet unmounts charges of 30 euros per shipment. Getting a bank account can be difficult especially if you aren’t in the E.U. You may look to sell at different markets, and it could get impractical to open a bank account in each. Instead, you might just want to transfer all your funds to your local bank accounts. Fortunately, there are different banking solutions to help you with that. We will be taking a look at two of the popular methods you can use as an Amazon seller. Now, setting things up with SpainBox is just part of the deal. You also need to have a European Union bank account for selling your products on Amazon EU, but you could work around that problem with a Payoneer account. You will get paid in your local currency into, say your Bank of America account linked to the Payoneer MasterCard account, which can be transferred into your local bank account any time you want. Registering on Payoneer is a piece of cake, but you can only open an account if your country isn’t on Amazon’s local currency disbursement list. There are 24 countries in total that eligible for opening an account on Payoneer, which include countries like China, Turkey, Vietnam, Sri Lanka, and South Africa. Payoneer is by far the safest and easiest way to work as an Amazon EU seller without the company eating into your profit. Amazon transfers your profit into the Payoneer account every 14 days. Once you give the withdraw command, the profit that you earn from Amazon will be transferred into your local bank account within 24 hours. Obviously, each transaction is going to cost you, which is one per cent of the amount you are transacting. Another way to withdraw money from your Payoneer account is by using the MasterCard ATM card that you receive when you sign up. If you are looking to sell in Europe and are looking for a reliable one-time solution except for Payoneer, WorldFirst is what you should be looking for. The company claims to have done transactions worth over $85 billion since 2004 and is a popular option today after Amazon. You can use it to sell anywhere in Europe, and it does have good conversion rates. The integration is simple, and you get an account ownership letter as required by Amazon KYC (KYC is the process used by a business to verify the identity of their clients). With no monthly charges and free account opening, it is a good bet today. WorldFirst has a business model similar to that of Payoneer, and all you need to do to open an account with them is to link your Amazon account. Then, you can transfer your Amazon funds to your WorldFirst account and withdraw it to your local bank account – no matter where it is in the world. With Currencydirect you dont get really a bank account, you get a way to link your local bank account with a bank account in another country, at the moment they offer it for USA, Europe and Japan and its only when bank accounts use different currency. In this case documentation required is much more, they require you send: A copy of register for your company, Proof Of Identity (Passport or driver’s license) for any 2 directors, Proof Of Address (Any utility bill – Even an online copy is fine) for any 2 directors and Last 1 month business bank statement. We suggest to try this several alternatives, because each business could have different preferences. However, we do recommend going in for one solution at a time since. This entry was posted in Amazon and tagged amazon KYC, payoneer bank account. Manuel Gallego founded Spainbox in 2009 with the mission of helping other companies manage their international shipments, since 1999 exports and imports do for our group of e-commerce companies (ucables, olivexa, ipshop,sileu, diagnosticoencasa, etc. ), having managed more than 1,000,000 shipments of all types, this experience has served to help recommend the best way for shipments to other countries to our customers. Delivery: How To Deal With Customers Who Are More Demanding Than Ever? If you’re in need of a clearer mastery of the task report this question may be asked, and the means the function that was daily is going to be. What sort of items can I receive? Is there any restriction or prohibition? I have my parcel/s in my inbox tab. What should I do now? Can we import in your behalf? I have a parcel retained by customs! I need my parcel faster! I can’t wait! Why do I have to send you contract filled and signed and my passport / ID card? It is personal documentation! What documentation do I have to send you if my parcel goes to a European Union country? What documentation do I have to send you if my parcel goes to outside the European Union (for example, the USA, Australia, New Zealand or UAE)? A proforma invoice? Where can I find a template? And how do I fill it? My parcel is in the outbox. When will you send it? I opened an account a while ago and has expired, now I want to use it again. Do I have to pay again the sign-up fee? how to integrate your shopify cart with a fullfilment warehouse? √ Free Advice on paperwork to export or import. √ SpainBOX helps you choose the most effective and economic way to import or export your international shipments in Europe, according to size, weight, destination and type of service you need. √ SpainBOX works closely with major couriers UPS, DHL, Fedex and TNT to coordinate transportation services in the most appropriate way for you. √ SpainBOX is licensed postal operator registered in Section A registration number A3951 in the Ministerio de Fomento: REGISTRO GENERAL DE EMPRESAS PRESTADORAS DE SERVICIOS POSTALES DE ESPAÑA. Amazon, Amazon Global Selling and the Amazon Global Selling logo are trademarks of Amazon.com, Inc. or its affiliates.